Fig. 4. 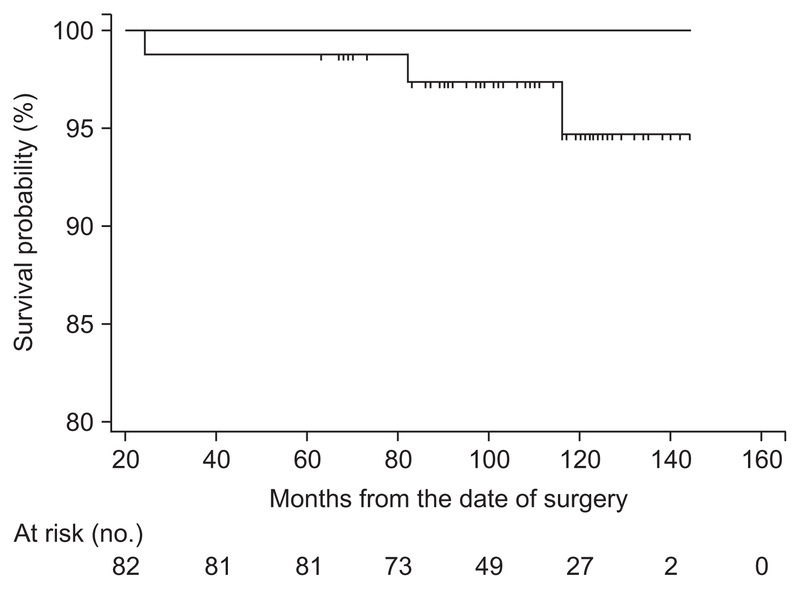 Kaplan-Meier survivorship curve with conversion to total knee arthroplasty as the endpoint. The cumulative survival rate is 94.7% at 10 years (95% confidence interval: 88.7%–100.0%).